Life is sweeter with WiFi! Email, Facebook, & surfing the web without using your wireless data plan. Photo sharing, watch YouTube and connect with Skype/Facetime. Streaming movies, web conferencing, and file sharing is super fast. 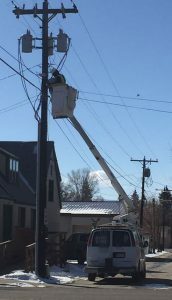 Citywide WiFi keeps you connected inside the Gunnison city limits with your Smartphone, Tablet, iPad or Laptop! Additional devices are $9.99 each.